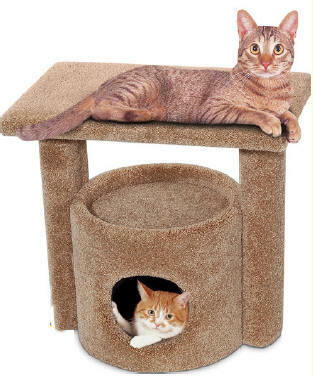 Fantasy Manufacturing Ltd is located in Toronto, Ontario and is one of the fastest growing pet furniture companies in Canada. Our products are made in Canada from the finest quality materials and superior workmanship. The company was established in August 2004. Our goal is to be the number one pet furniture manufacturer in North America. We will do it one customer at a time by listening and responding to their needs. Our management team has over twenty years of pet furniture manufacturing, supply chain management and operations experience. Associates are empowered to produce quality products, and our production team leader has over18 years experience making pet furniture. We recruited him from the now defunct Fantasy Carpets. He is one of the best in the industry. Our major customers are Wal-Mart Canada, Pet Saver, Leis Pet Distributing Inc and other indepentantly owned pet retail stores. We customize our products to meet our customers' expectations.